The dust may have left yet the heat is still on but don’t let that stop you from getting out this week! We have your nightlife covered with events from comedy to live music to even a few happy hour deals that’ll help your wallet from hurting. 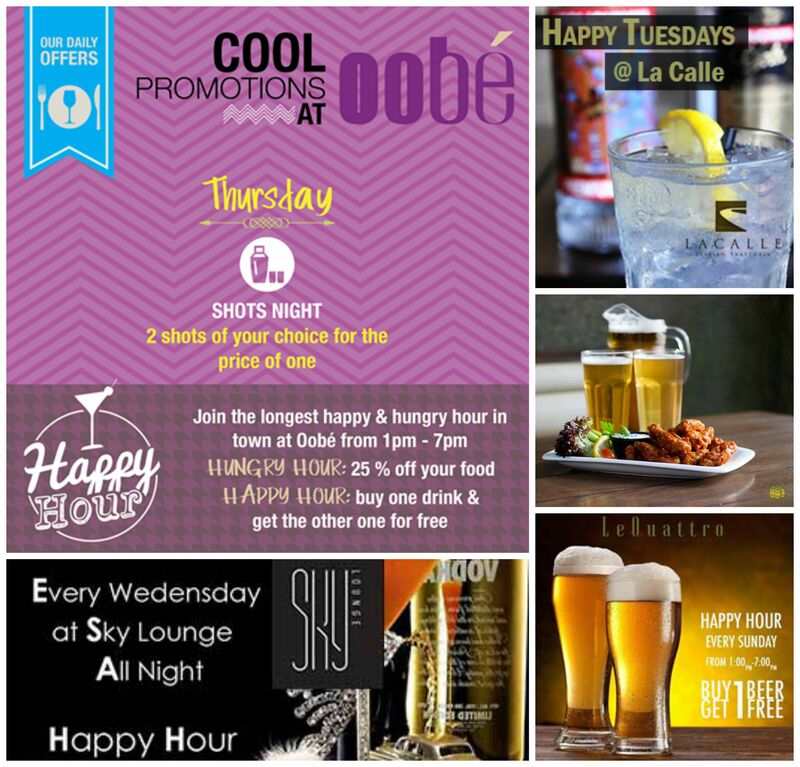 Stop sitting in front of your fan, take a chill pill and enjoy the events sure to heat this week up just right! September 19 at 7:00 p.m. Enjoy the pool side breeze as you laugh to some amazing local comedians! Join Adi Khalefe (Palestine), Odai Hijazi (Jordan) and Saimon (England). Featuring New Fashioned-Due Band and BeatBox Thaer Fahmawi “The Elephant” with many surprises throughout the night. Tickets are 5 or 10 JD, for reservations or more details contact StoryZ at 0790082124 or 0797452004. Every Monday from 6:30 to 8:30 p.m. Wish summer would never end? At U Roof that seems to be the case! Get in style at U Roof with DJs, live entertainment, nibbles, fresh fruits and free fruit Bellinis just for the ladies! Book now to escape the dreaded Monday woes. Minimum charge is 20 JD for all you men out there. 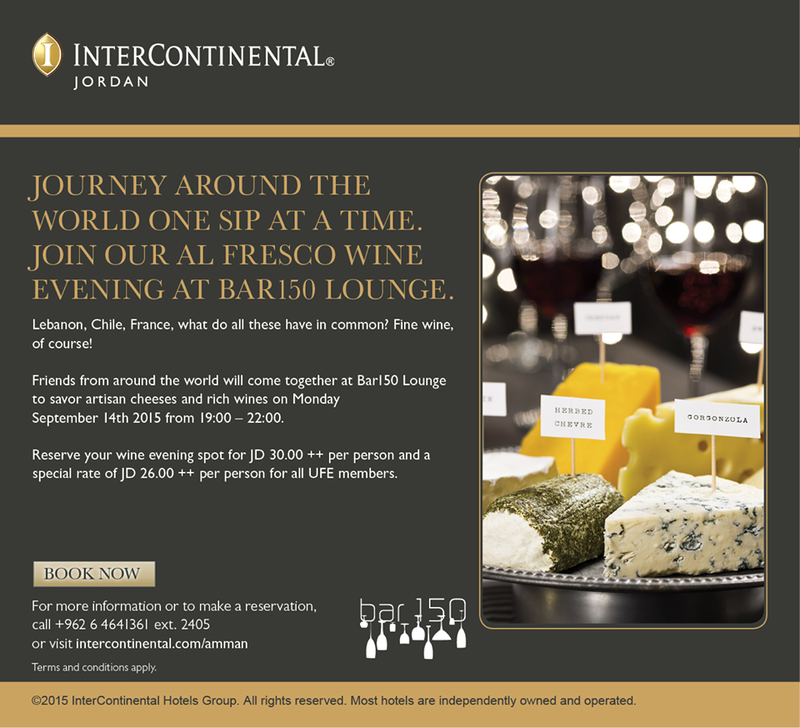 September 14 from 7:00 to 10:00 p.m.
Join the infamous wine evenings al fresco (meaning open air) at Bar 150, especially if your’re looking to discover new international wines or make some new friends! For 30 JD++ per person you can travel the world via wine and cheese without ever waiting on a Visa approval to arrive! September 16 at 8:30 p.m.
Andiamo Tipsters! 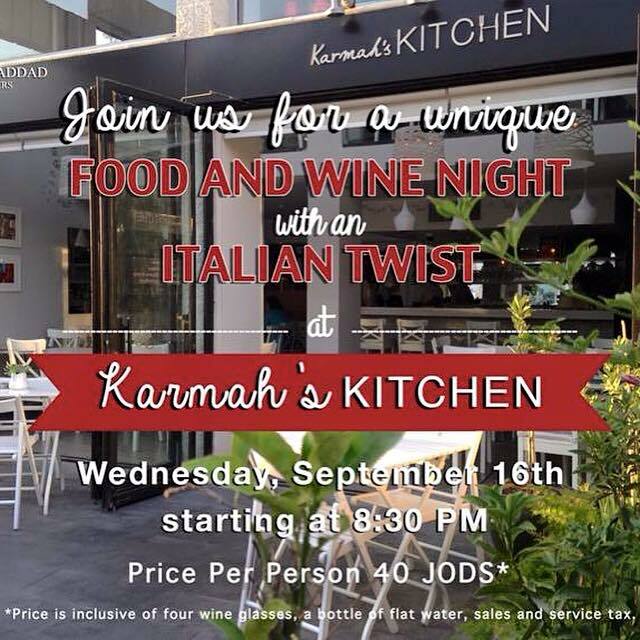 Enjoy a classic Italian night of a four course meal paired with cocktails and wines! You will start with a Tuscan kale Parmesan Crostini, followed by an Italian rice paper roll with red pesto, then for main a lamb ragu with saffron tagliatelle and end the night sweet with an orange and polenta cake! You can have this delicious 4 course meal + 4 alcoholic beverages for 40 JD all inclusive! What are you waiting for, call today to reserve your spot! September 17 from 9:30 p.m. to 3:00 a.m.
Malahi is proud to present DAM FUNK live & The TBA COLLECTIVE. Damon “Dam-Funk” Riddick is the epitome of funk, see what we are talking about by clicking here! 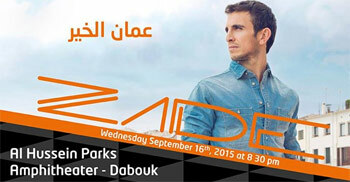 Tickets are just 15 JD for a night of good music and good people! Don’t want to drive or sick of waiting for taxis? Get yourself there with Uber & have a hassle free night! September 14 at 7:30 p.m.
September 16 at 8:00 p.m. 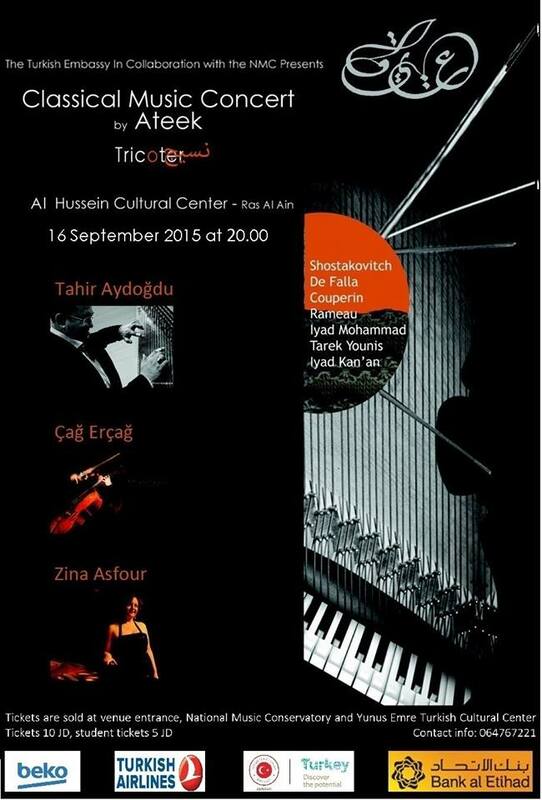 The Turkish Embassy in collaboration with NMC presents a night of extraordinary classical music! With musical trio Tahır Aydogdu/ Kanoun, Cag Ercag/ cello and Zına Asfour/ Piano. Tickets are 10 JD or 5 JD for students and are available at Yunus Emre, Turkish Cultural Center, National Music Conservatory, Jordanian Turkish Friendship Association and Books@Cafe! Reminder this Friday is the last Souk Jara! Sunday @Le Quattro Resto Lounge – Buy 1 get 1 free from 1:00 p.m. to 7:00 p.m.
Tuesday @La Calle – 50% off from 1:00 p.m. to 1:00 a.m.